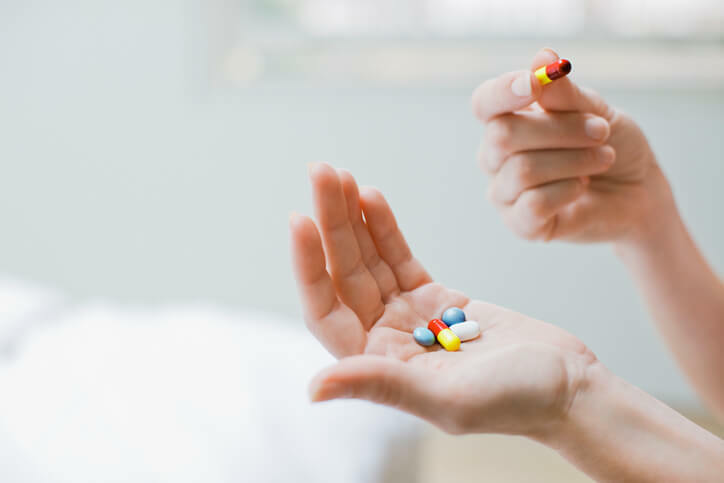 At London Doctors Clinic, our doctors will sometimes recommend patients take supplements to treat certain medical conditions, which can be bought over-the-counter from any pharmacy. So, we asked our Superintendent Pharmacist, Dipali Khurana, which are the most important supplements that pregnant women should be aware of. During pregnancy, there are two supplements which you should take on top of eating healthy and balanced diet; Folic Acid and Vitamin D. Multivitamin supplements are not considered to be needed during every pregnancy and are more likely to be an unnecessary expense rather than a health benefit. Folic Acid is a form of Vitamin B and is particularly important if you are trying to get pregnant. 400mcg of Folic Acid should be taken daily until you are 12 weeks into your pregnancy, as this is when the baby’s spine is developing. This will lower the risk of the baby suffering from any neural tube defects, which can affect the brain and spine. You can get folic acid from vitamins and fortified foods, such as breads, pastas and cereals. Folate is found naturally in foods such as leafy green vegetables, oranges, and beans. Liver is also very rich in folic acid, although it is not safe to eat while you are pregnant or trying to become pregnant. This is because liver is also very rich in Vitamin A, too much of which can cause birth defects in your baby. Some women have an increased risk of having a pregnancy affected by a neural tube defect and are advised to take a higher dose of 5 milligrams (5mg) of folic acid each day until they are 12 weeks pregnant. Pregnant and breastfeeding women, need 10 micrograms of Vitamin D daily, and should consider taking a Vitamin D supplement containing this amount. Vitamin D regulates the amount of calcium and phosphate in the body, which are needed to keep bones, teeth and muscles healthy. Our bodies make vitamin D when our skin is exposed to summer sunlight, however if you are in the sun, take care to protect your skin with sunscreen. Vitamin D is also in some foods, including oily fish, eggs and red meat. Vitamin D is added to all infant formula milk, as well as some breakfast cereals, fat spreads and non-dairy milk alternatives. The amounts added to these products can vary and might only be small. Iron deficiency anaemia is a condition where a lack of iron in the body leads to a reduction in the number of red blood cells. Pregnancy is one of the most common causes of iron deficiency anaemia as your body needs extra iron for your baby during pregnancy. Unless you’re pregnant, it’s rare for iron deficiency anaemia to be caused just by a lack of iron in your diet. If you would like any more advice about supplements, diet, or pregnancy care, our fully-qualified GP’s here at London Doctors Clinic are here to help. We can also facilitate blood tests to investigate your body’s levels of the above mentioned nutrients, and many more, should you so wish. Simply book an appointment at any of our eight London clinics. All of our GP surgeries are located close to key transport hubs, so we should never be too far away when you are in need of a “GP near me“!